Need a garage door that’s cost effective, compact and good looking? Roller doors are the answer. 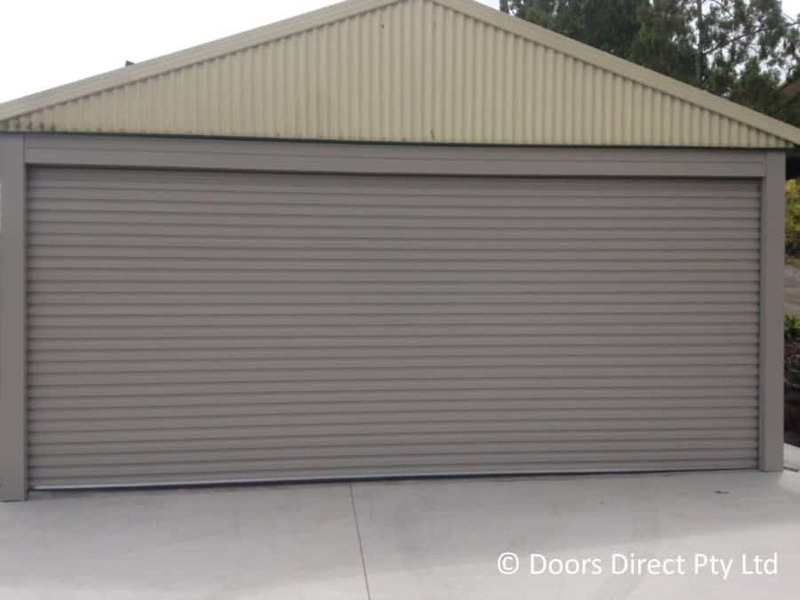 Roller doors roll up into a roll directly above the garage door opening keeping the inside of your garage neat and tidy. 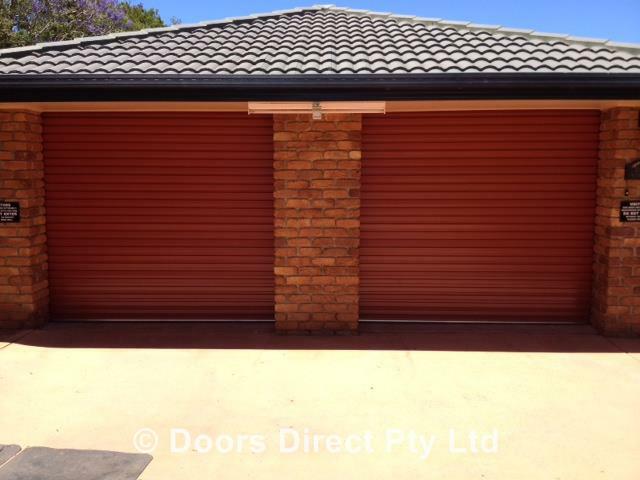 Made of Blue Scope Australian made steel and available in the Colorbond range of colours to compliment the look of your home, roller doors are functional, safe and look great. Domestic roller doors are made to measure and suit openings up to 3 metres high and 5.5 metres wide. Domestic roller doors are manufactured with a centre lift key lock for manual operation or can be motorised for use with a remote. When the door is motorised you have the option of having no lock on the front of the door to give it a cleaner look. 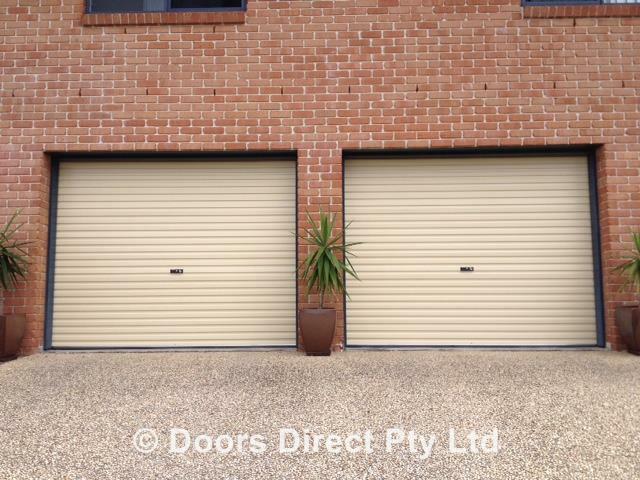 Roller doors require the most amount of head room out of any of the garage door range. If head room is limited in your garage, maybe a tilt door or sectional door will suit your needs. As well as installing new roller doors, Doors Direct also service and repair roller doors and roller door motors. Roller doors are available for a range of applications including commercial and industrial. 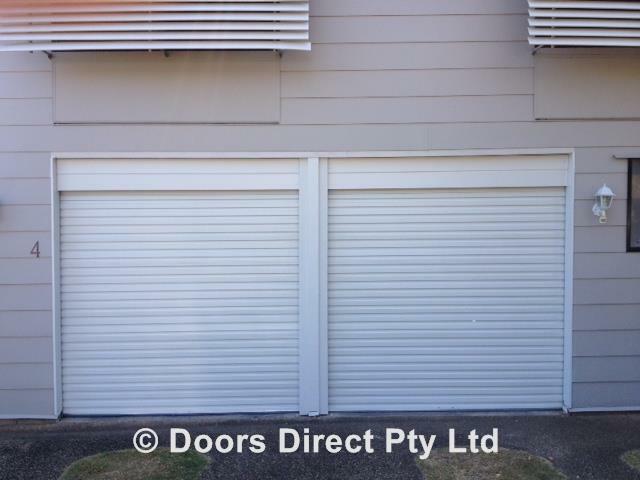 No matter your needs Doors Direct has a roller door solution for you. Motorising your roller door is the best way to make it more convenient, and Doors Direct has a huge range of roller door motors for every budget and application. Visit our gallery for more ideas, designs and colour options. Alternatively if you’re interested in a quote don’t hesitate to contact the team and we’ll happily help you out.